What’s the scoop: Stopping Reign is the primary goal, and it takes visiting a slew of secondary stories to accomplish it. 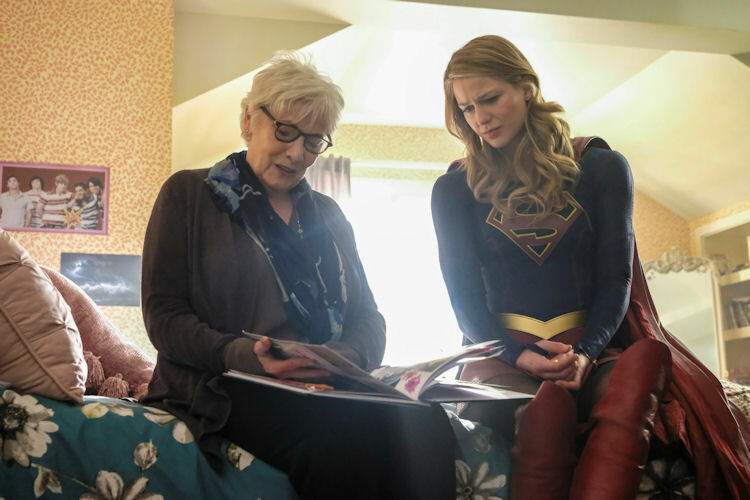 We visit J’onn’s father, who is still struggling with dementia, but still has a way to contribute to the greater good. (Not for nothing, but Supergirl is handling this piece of the story in a realistic way. I felt a twinge of nostalgia about my late grandmother in the way they showed M’rynn’s mood swings, moments of clarity and memory loops.) Supergirl and Lena debate the relative merits of kryptonite in the fight against Reign. We finally check in on Ruby, who is being kept safe in the gilded cage of Lex Luther’s stealth mansion. Kara even visits Sam’s adoptive mother in hopes of protecting her, and laying a trap for the final World Killer. Meanwhile in B Plot Land: There’s no better example of the record-keeping than the quick exchange about the other Legion members on that ship (How many takes did you think it took before Chyler Leigh got the “I was wondering …” line out right, instead of “The fans were wondering …”?). With the blight averted, it’s time for everyone to say their goodbyes. Brainy gives Winn a tube of future dirt and an awkward bro hug. Mon-El says farewell to Kara, but he’s obviously torn (it doesn’t hurt that the change in the time stream is totally giving him an out with Imra, either). He’s all ready to return to the 31st century until Brainy tells him that Supergirl’s chances of beating Reign are much higher, even once Legionaire stayed behind. Imra succumbs to the obvious, and lets Mon-El go to Kara with a clean conscience. Meet Me on the Balcony: Not much time for self-reflection, but we’ll get to the Elevator of Catty Confrontation in a minute. What about the action: There were several big fights, despite this episode being it rather talky. J’onn and Kara team up to spring a trap on Reign, who is looking to kill Ruby. It mostly works until Sam’s mother jumps in, and gets herself mortally wounded. Later, after Ruby gives her hiding place away, Alex, Kara and Mon-El swoop in to save Ruby. 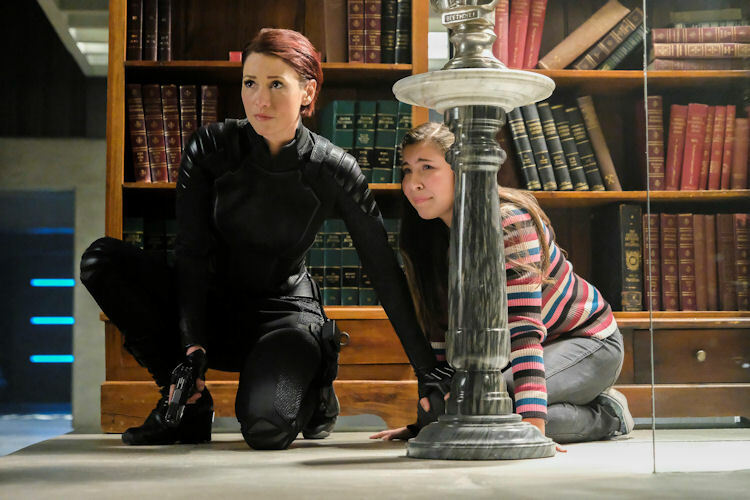 Kara agrees to use Lena’s kryptonite in hopes of stopping Reign, saving Ruby, and preserving what’s left of Sam. Reign’s additional powers make her tough to beat in a physical matchup, though thanks to J’onn’s father, Kara has an ace up her sleeve. Just as Reign goes to kill Ruby, Kara stuns her with an ethical quandary: Reign’s mission is to punish the wicked and dispense justice, but Ruby is an innocent and therefore, according to Reign’s own code of ethics, doesn’t deserve to die. It stuns Reign just long enough for Mon-El to improvise a kryptonite shotgun to disable Reign. What’s next: It’s what everyone has been screaming for: a Jimmy-centric episode! Last impressions: It feels like this should have been the season finale. The story was reaching toward an apex, only to discover that the top is a plateau and not a peak. So, for the next couple of weeks before Reign escapes again, we’re going to circle around these characters, and see more scenes like at the end in the elevator, when Lena was throwing shade at Supergirl — to Kara. 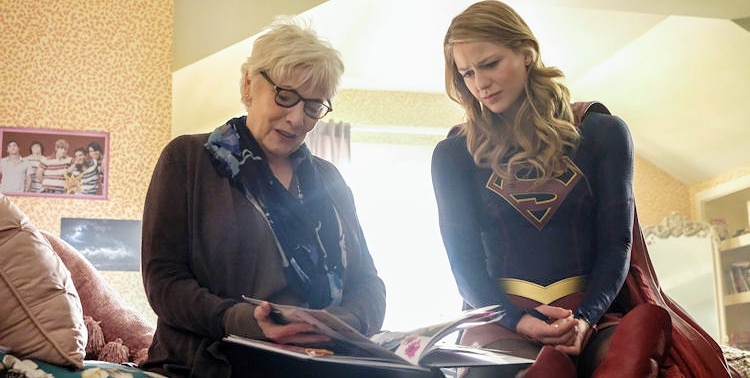 Kara looked betrayed by both Jimmy and Lena, which feels like groundwork being laid for a Lena-Kara “Everyone is the hero of their own story” rivalry next season. Be ready for a few weeks of filler before Supergirl can properly finish off the season.